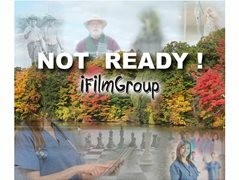 iFilmGroup is seeking non-equity actors, to fill cast members roles for a new dramatic film called “Not Ready” being filmed spring/summer 2019. The short film is about a dying professor who is not ready for his life to be coming to an end. Applicants MUST be from London, Ontario, Canada area. Or willing to travel at there own expense. Anyone outside of Ontario or not from the London Ontario Area need not apply. The role is the personal nurse for the professor. Has an interest in the Male intern (Already cast) that is assisting in looking after the professor. Personal Support Worker for the Professor and the family.